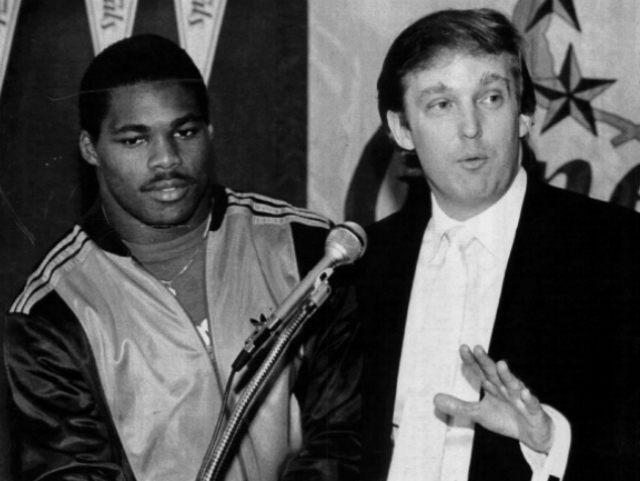 Heisman Trophy-winner Herschel Walker says that Donald Trump just might get his vote in the upcoming primary elections, even as he admits that his choice may upset some. Walker, 53, the former University of Georgia running who started his pro career with the defunct New Jersey Generals when Trump owned the USFL team, says that the billionaire presidential candidate is the “frontrunner” in his mind. The former player says that he supports the building of a wall on the southern border and feels that the real estate mogul is a man of his word. Like Trump, Walker remains a man of varied interests. 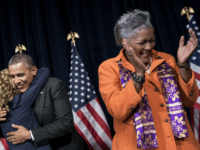 In addition to his successful football career, he authored a popular fitness book, danced in the ballet, fought as a fortysomething in mixed-martial arts, and appeared on Celebrity Apprentice with Donald Trump. Walker also said that he had gotten to know Trump well during his time with the New Jersey Generals and he felt that Trump would be good for the country. Walker also said he felt Hillary was too much of a politician and that the country needs someone with business sense in the White House.